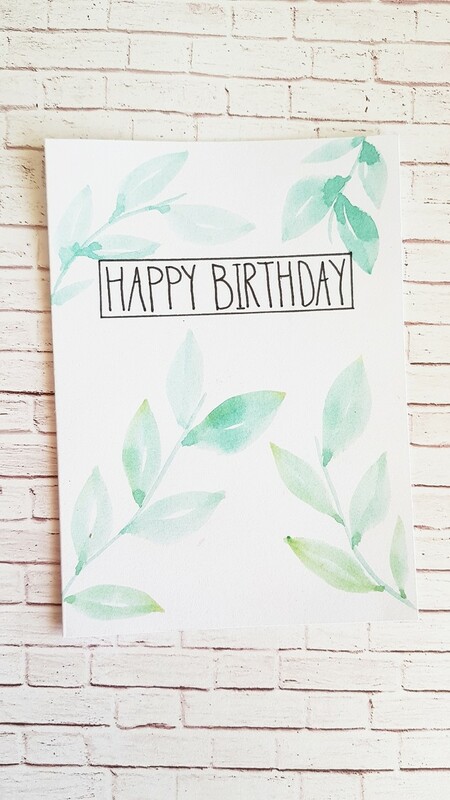 Birthday card with calming, natural leaves. Hand painted with watercolours. Blank inside. Card is 14.5cm x 10cm. White envelope included.